Home � Animal Kingdom Lodge , Disney Dining Plan , Disney World Restaurants , Epcot Restaurants , Grand Floridian Resort , Recent � Disney Dining Plan? Three Disney World Restaurants You Must Try! Disney Dining Plan? Three Disney World Restaurants You Must Try! Whether you are paying for the Disney Dining Plan or getting FREE Dining as part of a Disney World Package Promotion you still want to get the best value out of this dining option. Today we look at three Disney World Restaurants that may not get the attention that they deserve, but they are excellent choices for using your Disney Dining Plan Table Service Credits. Each of the three restaurants that are featured provide excellent Disney Dining Plan deals. That means that eating at these restaurants and paying cash would be more expensive than your typical Disney World Restaurant, but they still only require the use of one Disney Dining Plan Table Service Credit to eat there. These restaurants all have special elements that you will not find in local restaurants in your area. They provide menus with interesting cuisine, excellent theming, and two out of the three also provide special entertainment. Using the Disney Dining Plan is an excellent way to experience these three excellent Disney World Restaurants and still keep to your budget. They will make your Disney World Vacation experience even more memorable. 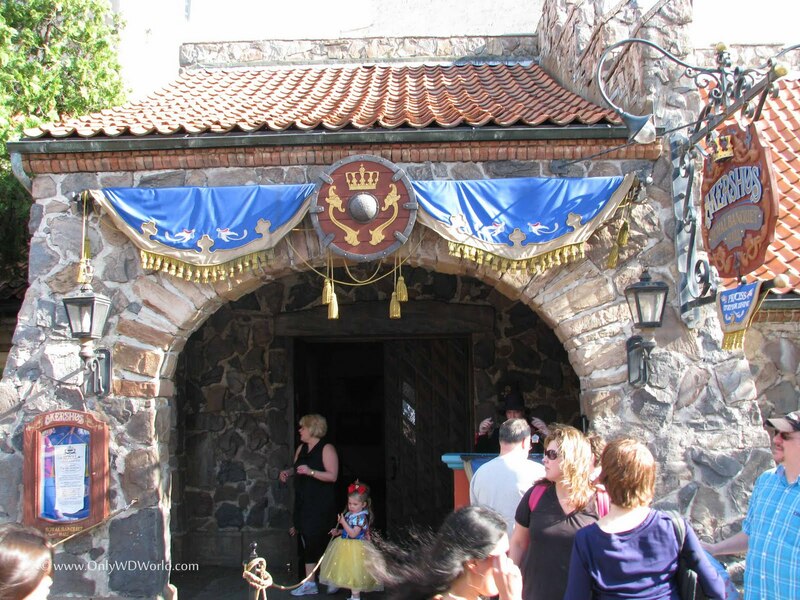 Situated within the Norway Pavilion of Epcot's World Showcase is the Akershus Royal Banquet Hall. 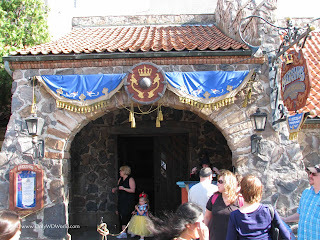 Inside this medieval, royal eating establishment you will be treated to Norwegian cuisine, and you will also have one of the best opportunities to meet Disney Princesses anywhere in Disney World. The meal is often referred to as the Princess Storybook Dining. It is available for Breakfast, Lunch, and Dinner, but Dinner would be the best use of your Disney Dining Plan Table Service Credit. Normally the dinner would cost $46.85 per adult and $25.55 per child. This includes the entire meal, non-alcoholic beverage, dessert and one photo package per group taken with one of the Disney Princesses when you arrive. Typically you will encounter a number of Disney Princesses during your meal that will make appearances at your table and pose for pictures with your party. You may see: Aurora, Snow White, Belle, Mulan, Jasmine, and others. If you (or your children) are a fan of Disney Princesses this is the place to be! The dinner is also special at the Akershus Royal Banquet Hall. 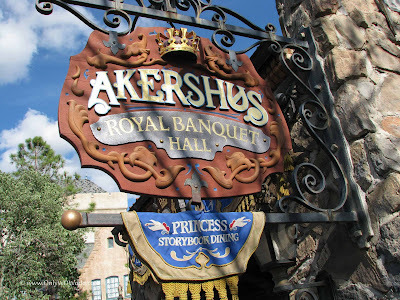 From the official Akershus menu: "Everyone’s Royal Feast begins with a"Taste of Norway"This magnificent feast includes sliced deli meats, seafood, and a grand selection of prepared salads and cheeses." The entrees include: Pan Seared Salmon, Oven-roasted Chicken Breast, Norwegian Meatballs, Mushroom Stuffed Pasta, Grilled Pork Tenderloin, and Seared Herb dusted Beef Tips. Each with a Norwegian flair. Each table also receives the Royal Chef's Dessert Plate with Chocolate Mousse, Norwegian Rice Cream, and pastries served family style. 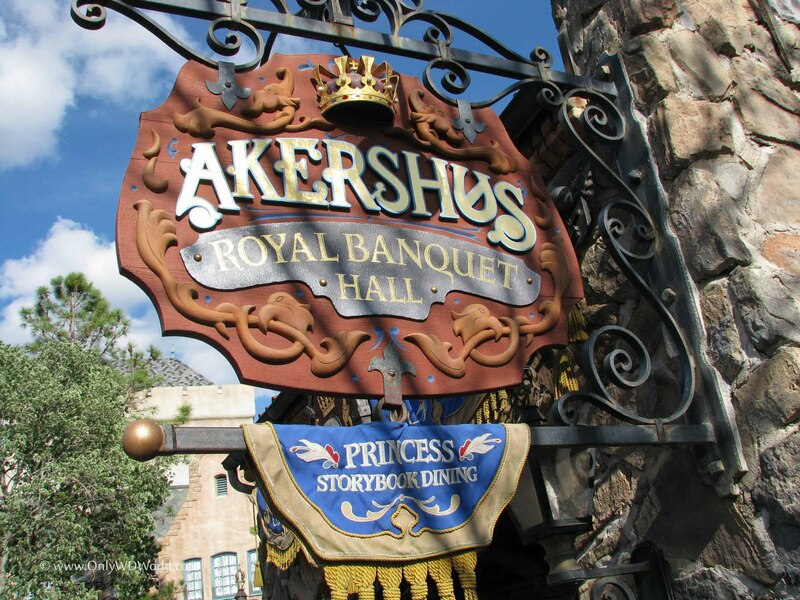 For an incredible dining and entertainment experience alone you should try eating at Akershus Royal Banquet Hall, the fact that you can get all of this for one Disney Dining Plan Table Service Credit makes it a must for those using the Disney Dining Plan. Boma at Disney's Animal Kingdom LodgeFor a buffet like no other, you need to experience Boma at Disney's Animal Kingdom Lodge. The experience starts with a visit to Disney's Animal Kingdom Lodge. This is arguably the most impressive of all of the Disney World Resorts. It is worth the time to explore this resort and check out the Savannah with the animals. Boma features African inspired cuisine to match the setting of the resort. As a guest you will be treated to a buffet that has a variety of tastes to sample that will be unlike any restaurant that you would typically encounter. It starts with a selection of African Breads. Then there are a selection of salads and fruits to temp your palate. Boma is especially known for the soups that are available. There usually are several to choose from and they are wonderful. There are also a number of African vegetable dishes. The entree items include: Durban Spiced Roasted Chicken, Malabu Pepper Steak, Wood Roasted meats, Bobotie (Lamb and beef quiche with onions, raisins, and bread), Chicken Pepper Pot, Curried Coconut Seafood Stew, Couscous Marrakesh & Grilled Seafood. It is all topped off with a dessert bar that includes the world famous Zebra Domes and Simba Paw Prints that must be tried. If you were paying out of pocket to eat here the Adult meal would cost $39.40 and Children would be $19.16. Again this makes a very good use of your Disney Dining Plan Table Service Credit. 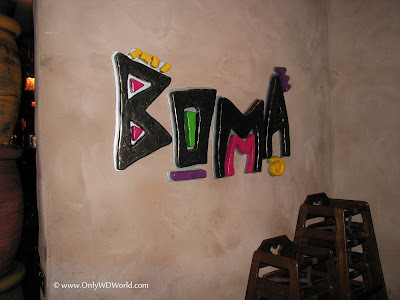 Eating dinner at Boma makes for a wonderful evening that is an escape, even within Disney World. You are immersed within this beautiful African setting and can enjoy the surroundings of the resort and then partake in the exotic tastes of the buffet. There are food choices for even the picky eater, but this is really a chance to explore and experience new flavors. This is an absolute must for anyone that has never had the chance to visit Disney's Animal Kingdom Lodge and a reason to return for those that have visited. 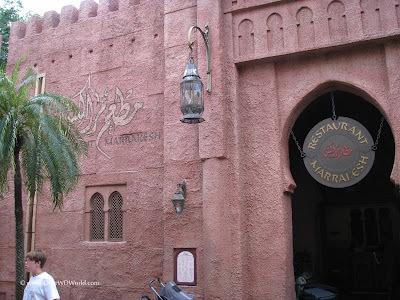 Last, but certainly not least is dining at Restaurant Marrakesh. Hidden deep within the Morocco Pavillion in Epcot's World Showcase, Restaurant Marrakesh transports you to Morocco to experience its flavors and culture. Eating here is much more than just a meal, it is truly an experience. You will not only get to sample authentic Moroccan cuisine, you will also be entertained. Each evening there is live music and a belly dancer performing at different intervals. From the Official Restaurant Marrakesh Menu: you will find many interesting tastes to consider. The entree choices include: Couscous (the national Moroccan dish) with your choice of Beef, Chicken, Lamb, or vegetables; Shish kebab; Roast lamb Meshoui (traditional roasted lamb shank in natural juice with couscous), lemon Chicken, Chicken kebabs, North Atlantic Salmon, Mogador Fish Tangine (marinated fish with olives, lemon confit, potatoes, green peppers and chermula sauce), or Moroccan Sampler platters providing a taste of several different dishes. These dishes normally cost from $24.95 to $36.95, plus with the Disney Dining Plan you will also receive your choice of non-alcoholic beverage and Dessert. This makes the normal Adult "meal" cost around $35 - $45 + tax. Again this is a great use for the Disney Dining Plan Table Service Dining Credit. This underrated restaurant is a great Disney Dining Experience. You will enjoy the atmosphere and get a chance to sample authentic Moroccan cuisine in a beautiful setting while enjoying the Moroccan entertainment. Take our advice and try these three fantastic Disney World Dining experiences when you are using the Disney Dining Plan. They can be very expensive when you are not on the Disney Dining Plan, so sometimes people tend to shy away and miss these great dining opportunities. Use the Disney Dining Plan to its fullest and don't miss out on these overlooked gems. 1 comments to "Disney Dining Plan? Three Disney World Restaurants You Must Try!" Love this post! I have a mind to book a Disney vacation with the goal of hitting all these awesome restaurants with my Disney Dining plan. hmmm.